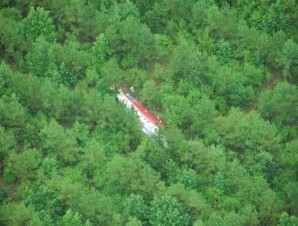 July 7, 2012 – KARNACK, TX (KLTV) – Officials are investigating an overnight plane crash that left the pilot dead. Officials say they found the downed plane in a heavily wooded area around 11am Saturday morning about 2 miles south of Karnack in Harrison County. According to DPS troopers, the two engine plane took off from Dekalb, Illinois and was scheduled to land in Brownsville, Texas. Officials say it went down sometime overnight during the storms near Highway 43. “According to the civil air patrol they said he lost his wings and engine approximately 12-thousand feet and plummeted down to the ground and into some trees,” said Harrison county dps trooper Cedric Grey. 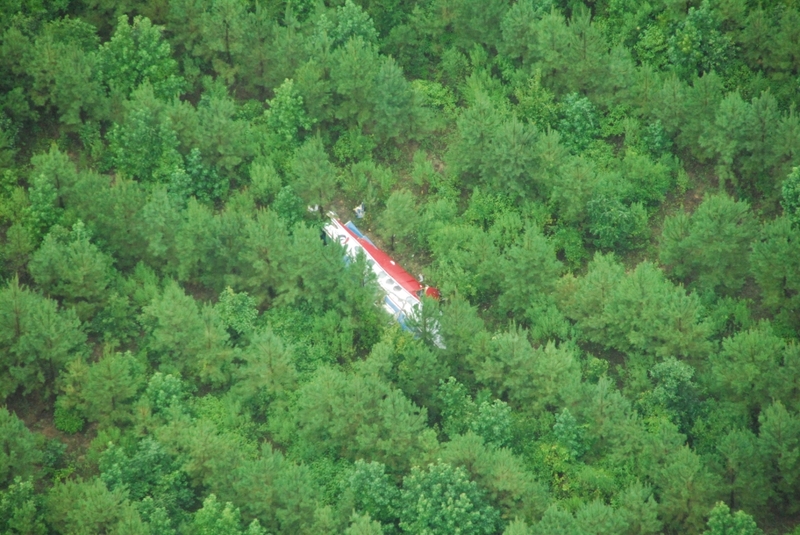 Officials have not yet released the name of the pilot, who died in the crash.